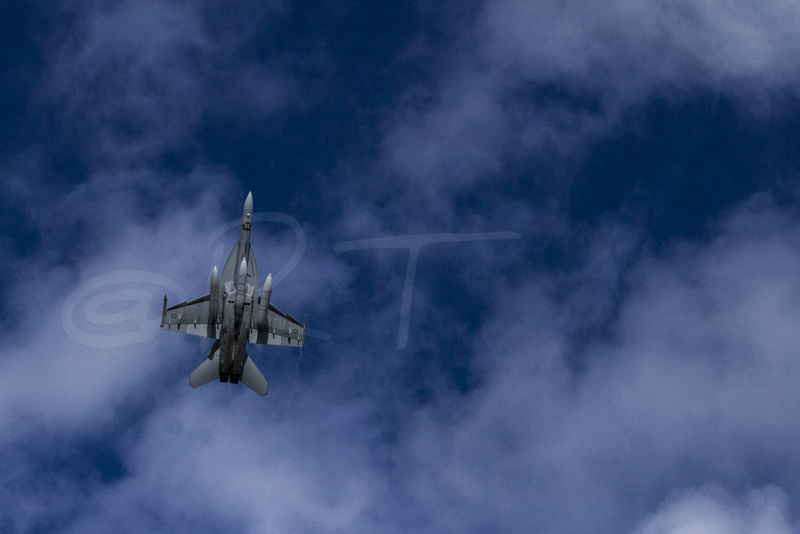 I had gotten wind of a flyover of an F/A 18 Hornet taking place over ANZAC Parade here in Canberra. I had confirmed the time and location of the flyover via the RAAF’s official twitter account, Air Force HQ. The Flyover was in celebration of the RAAF’s 92nd birthday. I assumed that the jet would have to fly over Mt. Ainslie so I chose that as the spot where I’d take my photos. I arrived early to make sure I got a good spot for my photos, presuming the jet would fly in from the North. As it turned out, the jet did it’s fly over at around 11:18am, around 12 minutes earlier than had been scheduled. The jet flew in from the South, flying up over ANZAC Parade after passing over Parliament House. The noise of the jet was amazing – it must have been flying not much slower than Mach 1. Sure, the noise scared me a bit, but it was also totally exilerating. The fact that the jet flew in from the South took me by suprise. Luckly, I had thought to set my camer to shoot using a setting called AL Servo. This meant that my camera would automatically focus on the jet as it screamed around overhead. I was able to swing my camera around quickly enough to get a series of shots, the best of which I’ve posted onto Google +. What was brilliant was that when the jet reached Mt. Ainslie, it went into a massive climb right above us. It then flew inverted, rolled over and dove before heading off. That really helped get a good series of shots as the plane manouvered above me. I offered to supply the RAAF one of my photos copyright free – as a birthday present! 🙂 They chose a pic of the F/A 18 flying inverted and I posted it on their Facebook Page. The F/A 18 Super Hornet is an amazing aircraft – we are lucky to have them as part of our first line of air defence here in Australia. 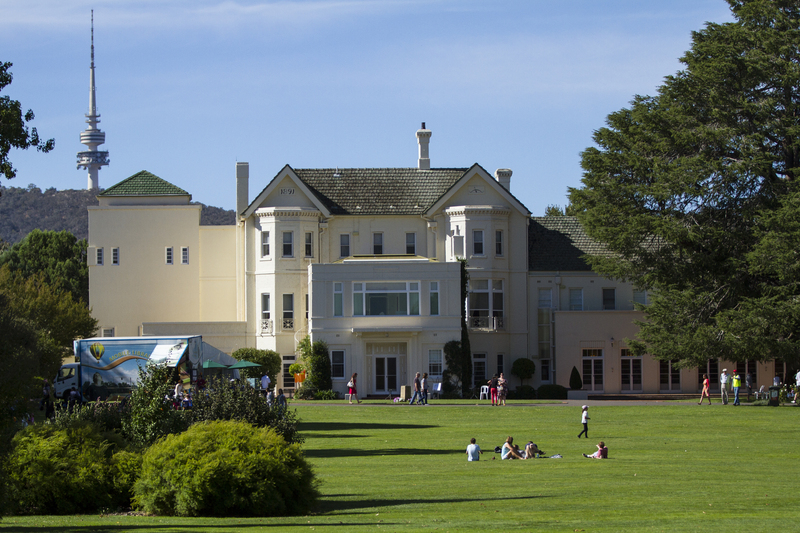 Government House is the official residence of Australia’s Governor General. I took advantage of the first of this year’s open days at Canberra’s Government House to take some photos outside of the main building. The weather was absoutely perfect and there were thousands of people enjoying the event. Staying outside the main residence and proved to be a sensible decision as the que to tour inside the building was very long by the time I arrived. There was plenty to do outside with an orchestra, vocal quartet and even bagpipes entertaining the crowds. I was particularly keen to get photos amongst the beautiful gardens that surround the buildings but also took some photos of the Governor General’s beautiful Rolls Royce as well as some other classic vehicles that were on display. Please enjoy the photos on my Google+ page.